Tis’ the season for charitable gift giving from our digital marketing agency! We’re doing our bit to help those who are less fortunate. With the excitement only a child knows, we remember running to a brightly lit Christmas tree in search of a present with our names on. Those are the childhood memories we at Bigfoot Digital cherish to this day. But, not everyone is so fortunate. Some children live in homes with dirt on the floor, no running water or electricity. Those children will never experience that warm fuzzy feeling of getting a special present from Santa Claus. We want to change that. This year, Bigfoot Digital is donating new, unwrapped toys and gifts to children who will not otherwise receive a present on Christmas Day. Christmas doesn’t need to be extravagant or expensive. At Christmas, we are taught that giving to others is the most important thing. There’s something satisfying about handing a present to someone and knowing you have just made their day brighter. 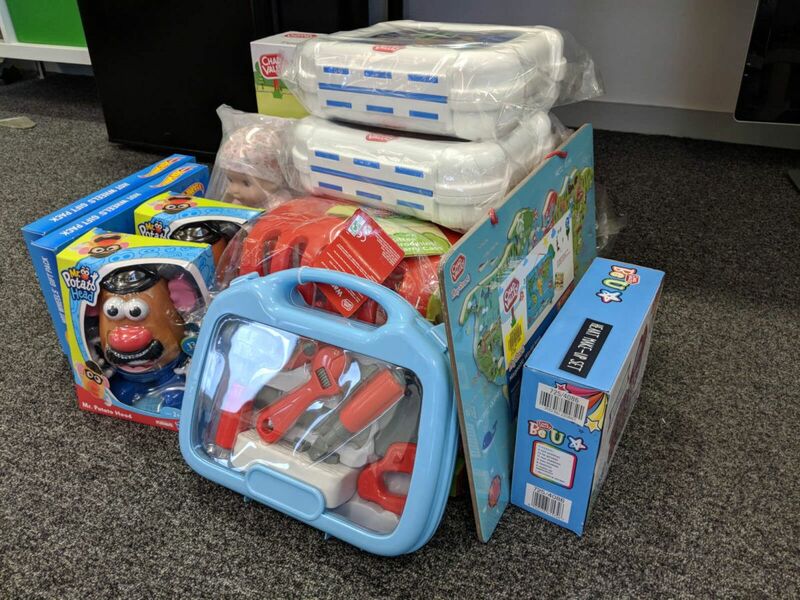 Our presents will be distributed between the Snow Drop Project and Home Start charities to ensure that we are giving as many children as possible a very merry Christmas. These items are ordinary, but will be gratefully received from a child that would otherwise not receive a present of any sort. And, it gives us a wonderful opportunity for our team to do something amazing this Christmas. So, why have we chosen these charities? Each year men, women and children are tricked into leaving behind their family and friends for a “better life.” They are looking for an escape from a life of hardship in favour of a fresh start some place new. However, what they are faced with is the grim reality of a life of abuse and servitude. Children are stripped from their lives to a nightmare land where Christmas is most certainly not a day that is celebrated. The Snowdrop charity believe in a long-term recovery process that supports the people who escape this life and want to start again. Home Start help young parents face the challenges that come with having children. They help parents better support, care and provide a bright future for their children. Families struggling with post-natal depression, isolation and financial struggles and many other problems receive support from a volunteer who spends two hours each week at their family home. These children and their parents will greatly appreciate a gift from someone this Christmas. Please visit their websites above and be sure to share this article to raise awareness of the life-changing work they do every day. Social Media is a fantastic way to help and promote different charities, so getting involved with a charity is a great way of spreading the word. Each year, we try and do our bit where we can to help great charities and support the work they’ve done. Click below to see who we’ve helped in the past!